Hello, and happy hump day to ya! My Tuesday was pretty terrific! Nothing too out of the ordinary. School, work, and then I had to do my run without my running buddy, which kinda stunk. I get cray-zee cravings for chocolate, and it is becoming a daily phenomenon. What is my "secret" for fighting off chocolate cravings? The short answer is: I don't! Instead of depriving myself, I simply prepare for battle. You know what they say, the best offense is a good defense! Step #1: Figure out what time of the day you typically get the chocolate urge. 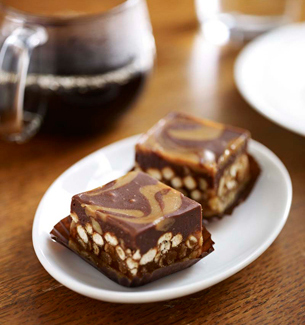 Do you crave chocolate when you first wake up? Around mid-morning snack time? After lunch? Or at night? The most common time of the day when I, personally, go into a chocoholic frenzy, is shortly after finishing my lunch. Step #2: Have reasonably-portioned, "smart" chocolate options on hand. Often, the best strategy when it comes to healthy eating is simply to be prepared. 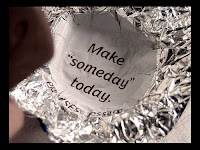 Since I know that I crave chocolate after lunch, I usually throw a small chocolate treat into my lunch box. Otherwise, I will be stranded, and forced to grab multiple handfuls of peanut M&Ms from the community candy bowl (aka germ city) @ work. Not all chocolate is created equal. Dark chocolate is the best choice, from a nutrition standpoint, because it is a potent antioxidant. The higher the percentage of cocoa, the better. I love the Dove Promises because they are SO creamy and the wrappers have cute sayings on the inside that make the experience just a little more enjoyable than it already is. 2) Vita Tops: I talked about my love for this brownie-inspired baked good here. Pop one in the microwave for a bit, sip on a little skim milk, and try NOT to smile (I betcha can't). These are tasty, but it is very clear, as with other 100 calorie packs, that they only have 100 calories. 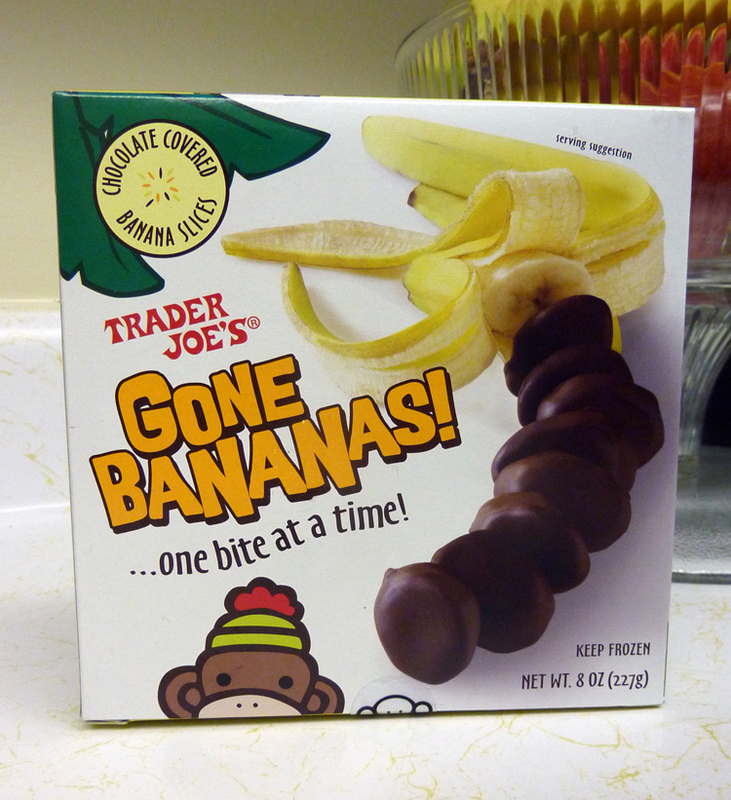 They are gone in about 3 bites. Sometimes (but not ALWAYS) that's all it takes to get your chocolate fix. Bring out your inner Girl Scout! This flavor tastes just like a Thin Mint. You will NOT be sorry you gave these bad boys a try. 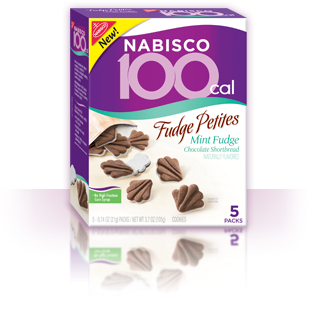 The "petites" are bite sized, and all under 200 calories a piece. I also just stumbled upon this combo. Yummmmy! I got some Simply Suzanne Lotsa Chocolate Granola from the Eastern Market in Detroit. I only bought a small, 2 ounce package, and I am kicking myself for it! I was literally scraping the bottom of the bag, hoping for a secret extra compartment. I will definitely be ordering some online soon. Chocolate granola is so delicious mixed with CHOBANI Vanilla Greek Yogurt. 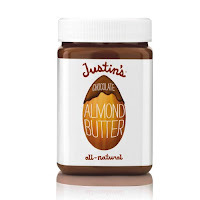 2) Justin's Chocolate Almond Butter on Whole Wheat Toast, a Whole Wheat English Muffin, or, my current favorite, mixed in with your morning Oats! The only brand I can find (so far) that doesn't taste like tree bark. These are a nice frozen treat, and only 2 points a piece for your counters! Step #3: Before you indulge, check your symptoms. When I have any craving, I always take a second to think whether I REALLY want the food that is on my mind, or whether I am just bored or thirsty. Be true to your body. If you think it might just be boredom or thirst, try switching gears by getting up to fill yourself a glass of water. This can be an effective way to kick that fake craving, and it will also keep you hydrated! My chocolate cravings, for some reason, are pretty serious business. When that bell starts ringing for me, it's rarely a false alarm. So, I usually reach into my tool box, pull out one of the above options, enjoy, and put the craving to bed. It's really that easy. Something to talk about: What time of the day do you find yourself craving chocolate? 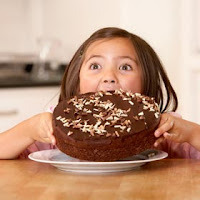 What tips do you have for dealing with chocolate cravings? 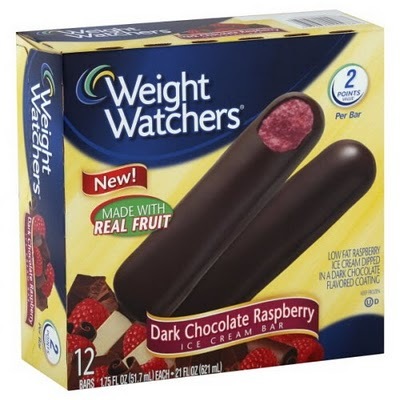 What's your favorite "healthy" chocolate snack? I hear ya when it comes to the chocolate craving!! Now, this is only available certain times of the year, but it's out right now. Light (or fat free, I can't remember which one it is called) Chocolate Cool Whip! Put it in the freezer and it tastes like chocolate ice cream! I sometimes put some of it on my chocolate vita top! Good ideas! I get that chocolate craving and the best thing for me is to not keep any in the house!